Where were you raised, what is your education, and what was your career trajectory? Gerry Phelan was raised in Wisconsin Rapids, Wisconsin.  He earned his bachelor’s degree in Operations Management from Marquette University in Milwaukee, Wisconsin. Gerry has been the owner of Midwest Woodworkers for the past four years. Before acquiring Midwest Woodworkers he has been an independent small business consultant. He was also the Director of Training and Development for TD Ameritrade and an operations manager for International Paper Company and its distribution arm Xpedx. During his operations career he has held the roles of Division General Manager, Vice President of Operation, Treasurer, Credit Manager and Data Processing Manager. He has also been a woodworker for 30 years.  Gerry is the Chair for the Speakers Bureau of the Greater Omaha Business Ethics Alliance. What do you like most about your work? What do you least about your work? “This is exactly where I want to be.” Gerry is an avid woodworker so he loves running the store and working with his customers. Gerry said that you should love your work and he has found a job that he loves. He likes the variety of tasks that come with running his business. Midwest Woodworkers is a unique business in the Midwest region. He uses his experience from positions he has held to keep the store running efficiently. His identity is getting wrapped into the store, he is becoming known as the “woodworking guy” to the public. The thing that Gerry likes least is the paper work and keeping books since it takes him away from the customers. He does, however; find some pleasure in the paperwork since you can take satisfaction in completing the task with paperwork. He also misses doing hands on woodworking since he spends the majority of his time managing and running the business. What types of pressures do you see in your career? Gerry explained that his pressures of work were pretty typical “small business” pressures of not having enough time or resources. He also stated that he is extremely driven and focused on making Midwest Woodworks succeed since it is a family business. He is extremely customer service oriented and wants only the best for his customers so he spends a lot of time and detail on his customers and their needs. Gerry spoke about the Ethics Alliance admiringly and that he constantly thinks about ethical decisions. He feels that his association with the Alliance and his high regard for ethics makes him a better manager. He stated that thinking ethically helps him to prioritize his thoughts and put his customers, employees and family first. Gerry has been in Omaha for fifteen years. Gerry feels that Omaha has the same “Midwest climate” he was used to in Milwaukee. He thinks that the Omaha area has similar climate and ethical values. He feels that Omaha is a very positive community. Do the moral values in The Ethical Legacy project typify the Omaha business community? Articulate a value or two in a short description or by telling a short story. Gerry stated that he firmly believes the moral values of the Ethical Legacy Project typify the Omaha business community. He stated that Omaha, much like Milwaukee, exudes “Midwest ethical values” and that these values are rooted in the people in their respective communities. Gerry explained two stories that reflect what he calls “moral courage” which leads to making “moral choices.” He spoke of witnessing a deer that collided with a motorcyclist and stopping to help. When he made contact with the man, Gerry described the cyclist as standing on the highway in danger from oncoming traffic, apparently suffering from shock. He stated that he was fearful of what he might find after the accident and initially did not want to witness what could be a gruesome scene. However, Gerry did assist the man and thankfully so as he possibly saved the man’s life by doing so. The other example that Gerry provided was that of another traffic incident where he witnessed the aftermath of another driver colliding with an electric pole, which was quite dangerous. In that case, he chose not render assistance because others had already gone to the driver before he could act. While he had no legal obligation to turn around and attend to the accident, he was left wondering if that was the right thing to do. What are the core values that are found in the Omaha business community? The core values found in the Omaha business community can be found in its workers. Gerry felt the most relevant qualities people have are that they are hard workers, have integrity, honesty, and they hold themselves accountable for their work. These are values he also saw while working in Milwaukee. Describe an ethical situation in business you have faced that was relatively easy to handle – who was involved, where, what did you do, why. Describe an ethical situation in business you have faced that was hard to handle – who was involved, where, what did you do, why? table saw, it became apparent the man only needed the saw for one project and had no previous experience with table saws. Instead of selling the man a tool he really didn’t need and could potentially hurt himself with, Gerry decided to cut the pieces for the man himself. Although he lost a sale, he felt he did what was ethical and honest. He carries a wide range of woodworking products but the store does not have everything. If the store does not have something a customer is looking for he will suggest a local store that may have it. He has had managers of those stores stop in Midwest Woodworkers to meet him and his staff and see what Midwest Woodworkers does carry so they can refer customers in return. That is an example of the positive climate in Omaha – stores helping people get what they need even if they don’t profit from it. One hard ethical situation that Gerry had to handle was dealing with the firing of a long-time employee. The employee had been a solid contributor but he was abrasive to his employees and co-workers. They had worked with him without success. Ultimately they were heading for a crisis and had to weigh his rights and needs vs. those of the rest of the staff. They felt they had no other choice but to let him go. Gerry was concerned that being fired would be traumatic and possibly career ending for him. They had a generous severance package and counseling available for him that day, but the outcome was surprising; the employee was relieved and even thankful to be removed from the position. It turns out he had been under tremendous stress trying to improve and didn’t know how to solve the problem. It ended up being a positive thing for both parties. In both cases Gerry’s decisions were made because it was the right thing to do. Why do you call the two previous situations ethical? Gerry explained that his set of moral values enhances his “internal compass”. This is quite helpful because this allows him to constantly consider ethics in his decision making process. This creates a Socratic dialogue that drives him to constantly consider his decisions and learn from them. frequent conversations with his employees to see if they could have handled situations differently. Employees are encouraged to make suggestions regarding processes or a situation that he could have handled better. He said you have to make sure that an employee knows they will not be punished for doing something ethical. A quote Gerry liked from the Better Business Bureau newsletter was “customer service is not about having a great conflict resolution process; it is about not having problems in the first place.” He stated everyone makes mistakes; you just need to correct them, learn from them and then move on. You have to listen to your customers to figure out exactly what they are looking for in order to provide good customer service. How does it feel talking with us about ethical quandaries you faced? Is it easy? It is uncomfortable? Gerry used the toolkit workshop series through the Business Ethics Alliance to implement their ethics program. He insisted that his employees contribute to their ethics policy. He often has “informal conversations”, rather than formal meetings, with his employees on the sales floor to talk about the policies and ethical situations to see if they can make improvements. He often alludes to the core values when they are having conversations to reinforce their ethics policy. Their ethical policy is posted in the store. Gerry unequivocally stated that his ethics mentor is Dr. Beverly Kracher. He explains that as a community we are extremely fortunate to have her guidance. Gerry also feels that he has a strong moral and ethical compass because of his family background and his faith-based education. He said that he has had many positive and negative influences throughout his life and that they all have helped him form a solid ethical and moral foundation. Gerry believes that your upbringing and your faith affect your ethics. He stated that you can usually stop and think “What would Mom say” to the decision you are trying to figure out and you will know if it is right or wrong. He stated that he had both negative and positive role models in past positions he has held that have molded his beliefs. He tries to follow the good role models and learn from the bad. Gerry said in a perfect world he would offer his employees full benefits but as a small company, Midwest Woodworkers has not able to offer employees a full range of formal benefits. Owning a business often means balancing those desires against fiscal reality. Having a limited benefits budget makes it even more critical to provide informal benefits like scheduling flexibility and a positive work environment and ensure that it is a place people want to work. One benefit Gerry feels he offers his employees is having a sense of “fair play” about what he owes his employees, which includes transparency regarding the decisions he makes for the company. Does social media affect your business? Do you have a person in charge of social media? Gerry stated you need to be aware of social media and use it positively. Gerry has a Facebook account and a website. He sends out a weekly newsletter to individuals who request it. He uses Facebook to celebrate customer projects and to find out what people are saying. He stated, “If you are not involved with social media, you don’t know what people are saying about you.” He has alerts set up so if something is posted he is notified. He had a customer post a negative comment about his product so he contacted the customer to find out why he was unhappy. Gerry replaced the product for the customer and the customer removed the negative comment.